Many challenges drive immigrants from their home countries. These problems range from natural disasters, calamities, search for better jobs, education, and greener pastures. For the many who have experienced migration first hand, the experience is usually one never to be forgotten. For instance, Devanshu Narang opens up on his immigration to Canada experience and what challenges he has undergone. Devanshu has spent thirty months in Canada as an immigrant and feels like the policy makers in the Canadian immigration department are so serious about their work that many times immigrants are forced to start the process afresh once they migrate to Canada. When an individual applies for immigration to Canada in the skilled category, the person is assessed based on a points system. This mechanism emphasizes the educational and language skills and the experience gained in using these skills during his/her professional of choice. 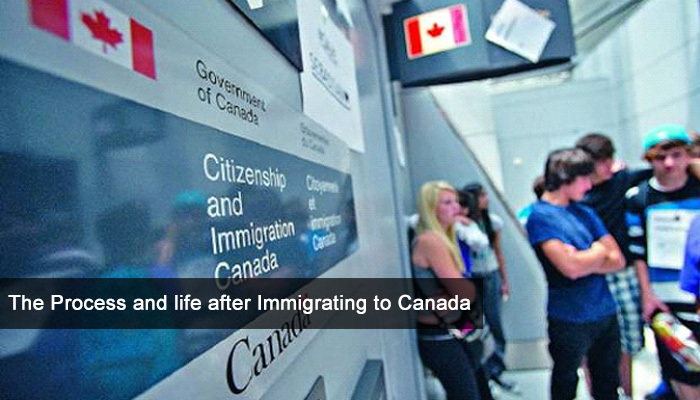 After being selected by the Canadian immigration, the person then lines up with other aspirants who are allowed to come to Canada. If the opportunities are seen to have increased, more immigrants are allowed into the country. When the person lands in Canada, he/she feels almost assured of continuing his/her life from where he /she left back in the country of origin. After wasting several years in pursuit of his dream job, this person realizes that age is catching up with him and settles for odd jobs so as to make ends meet. The immigrants decide to let their dreams die and pick up survival jobs. Cases of engineers, doctors, and chartered accountants working as gas station attendants and taxi drivers are very many. For the many natives, these immigrants only add strains to the local economy. Nonetheless, a few brave hearts have achieved success despite their status as immigrants by creating wealth and living happy lives. Before applying for immigration to Canada think of all possibilities that can happen in your life. my brother want to apply for Canada visa, where i have to meet you.